Do you have a design that supports sustainable production, promotes awareness on responsible design and consumption? Is your design embodying circular or regenerative design practice or principles of distribution and open source? We are calling out to European designers in the quest to promote RESPONSIBLE design, manufacturing, and consumption, to showcase the biggest talent in the growing European community of responsible makers and designers. Apply here for the call. 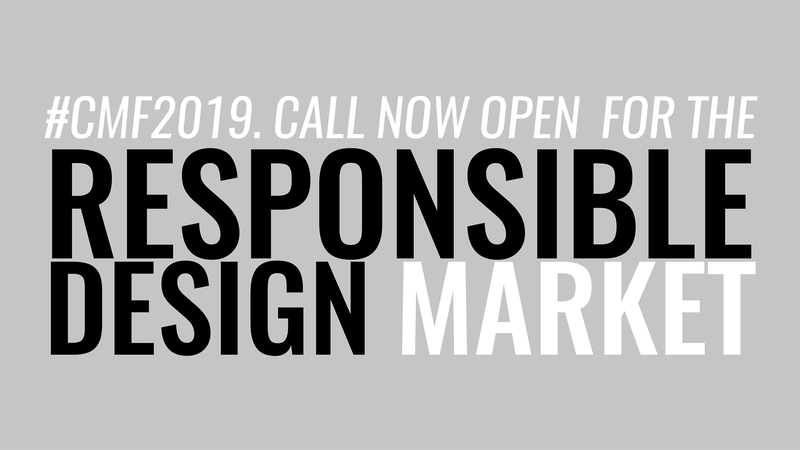 Apply for a spot at the RESPONSIBLE Design Market and be one of 10 designers supported in developing your design, as well as showcased and promoted to local and international citizens and makers at Copenhagen Maker Festival 2019 and in the European network of distributed design. Apply no later than April 8 2019. The selected designers will be notified April 30 2019. We will choose 10 projects to be promoted as visionary RESPONSIBLE design practice. The selected designs will be promoted at Copenhagen Maker Festival in September 2019 and the designers offered a residency at Underbroen, a makerspace and prototype lab in Copenhagen. Showcase at Copenhagen Maker 2019. Celebrate and promote responsible design with 3000+ citizens, 300+ makers and an international community of talent at Copenhagen Maker Festival, September 28-29 2019. Copenhagen Maker is Copenhagen’s annual maker faire presenting trends and innovations in technology, craft, art, and design and will bring together 300+ creatives and a 3000+ audience around the celebration of inspiring inventions, empowering and responsible technology and design practice. Residency at Underbroen. develop your design and finalize prototypes with state-of-the-art manufacturing facilities and a creative community of designers at Underbroen, located under the historic Langebro in the center of Copenhagen. The residency includes 30 days in the Lab between June-September 2019 and includes access to the full lineup of prototyping and manufacturing facilities for experimentation and prototyping, training and feedback from Underbroen’s staff, members and designers. Want more information? Join the Maker Meetup #7 at Underbroen. want to know more about the call, Copenhagen Maker Festival, Underbroen and the Distributed Design Market Platform? Join us at a Maker MeetUp at Underbroen Tuesday March 19 2019, where we will be sharing the forthcoming Responsible Design Market and the now open call for residencies and showcasing at Copenhagen Maker Festival 2019. We will also present inspiring speakers and case presentations from local makers on the agenda of responsible design, such as Rasmus Bjerngaard (Nextfood), Stiven Kerestegian (Chilote Shoes), and Nils Ole Zib (extendedmaterialcycle).